Beverly, MA (June 30, 2018) -A bicyclist was involved in a crash with a vehicle in Beverly, Massachusetts on Friday. The accident occurred at the intersection of Cabot and Dane Street. An ambulance was called to the scene to assist the injured bicyclist. Later, the bicyclist was transported to a local hospital with injuries resulting from the crash. The condition of the bicyclist is unknown at this time. Beverly police are still investigating the crash and its cause. The bicyclist was not immediately identified and police have not yet decided whether to issue any citations for the crash. 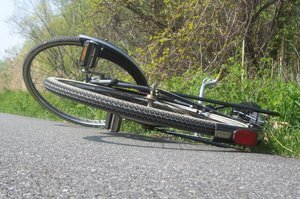 If a bicyclist is not at fault for an accident, their recovery is the same as any other accident victim. They may obtain compensation for lost wages, pain and suffering and the cost of any medical treatment needed as a result of the accident. Because bicycle accident injuries are often quite severe, the cost of medical can easily stretch into the tens of thousands of dollars.